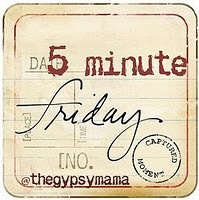 Today, I discovered Five Minute Fridays on my friend’s blog. I’m joining her and others in a five minute writing exercise called Five Minute Fridays. I hope you’ll play along, too. What does this post have to do with customer service? Nothing. But I’m taking the risk to be vulnerable with you, my readers, clients and friends, as I explore my writing. I hope you’ll enjoy this journey with me. When I look in my full-length mirror, my eyes immediately swoop down to my legs. I see hard, well-shaped quads, calves that stand out proudly, and developing hamstrings. I’m proud of my legs. I love my legs. I remember looking at these same legs in a department store dressing room mirror in the fall of last year. I cursed my legs, calling them “thunder thighs.” I immediately recognized my dangerous negative thoughts. The very next second I repented and began thanking God that I had legs; fully functioning legs. Later that month I took up running. Today these legs can easily run 6 miles and these legs are now training for a marathon. Instead of cursing my legs, I chose to love and nourish my legs. As I stand here in the mirror today admiring my shapely legs, I am grateful for the feedback and motivation the department store mirror gave me. When I look in the mirror I see my strong shapely legs. I love what I see. Check out the “Five Minute Friday” writing of the friend who inspired me. Jen’s Five Minute Friday made me smile, think, and laugh. You’re creative, quick and full of wit. I love it!